Free time gossips are a good way to spend your time of leisure in a great fun, to enjoy the company of some good friends and family members is also a good to get yourself free of worries and mental stresses! So why not decided an outdoor area of your home which is also having better weather conditions, for part time sitting! 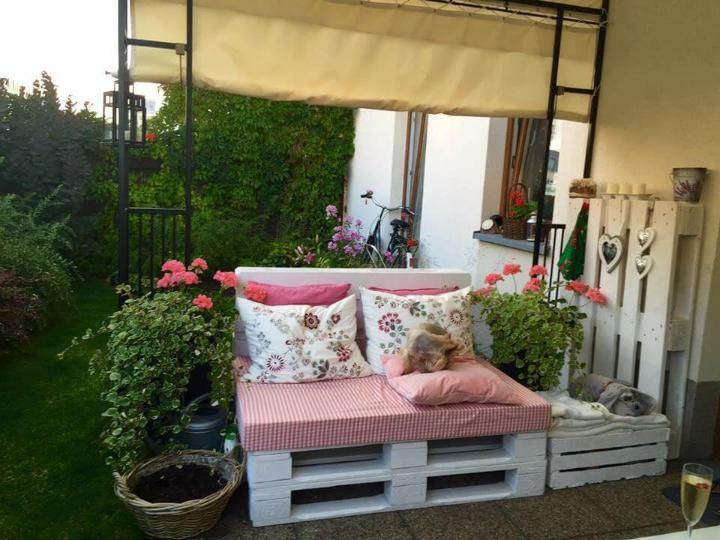 It would not take too much of your time and money as you can simple decide retired pallet skids to organize that particular outdoor area just like this DIY pallet patio furniture set all made of pallets someone has found at the landfills! 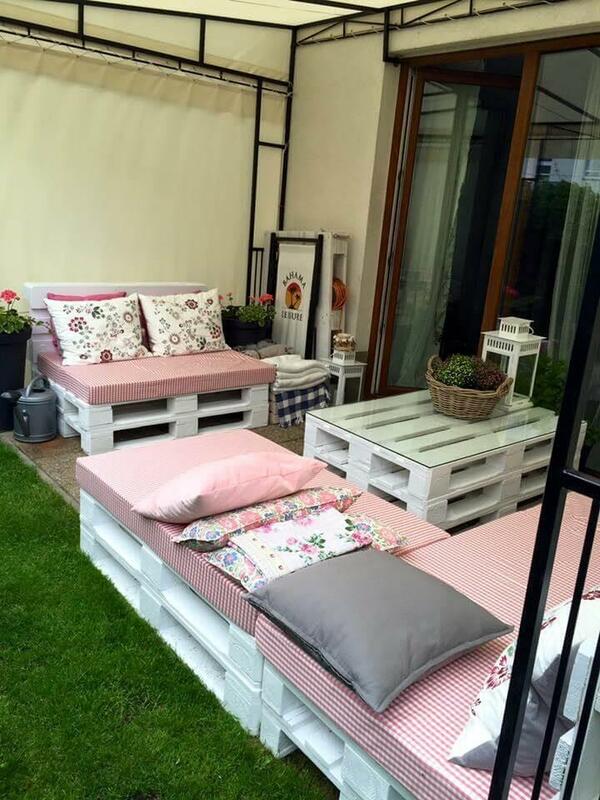 There are two cushioned pallet sofa design which are having a pallet coffee table aligned in between of them just as a conversation starter, coffee table has also been self-installed using the same rustic pallet slats! The remaining pallets have been decided to spice up the sitting ambiance a bit more so they have been aimed to install a better accent wall there that brings a perfect decorative vibe there! 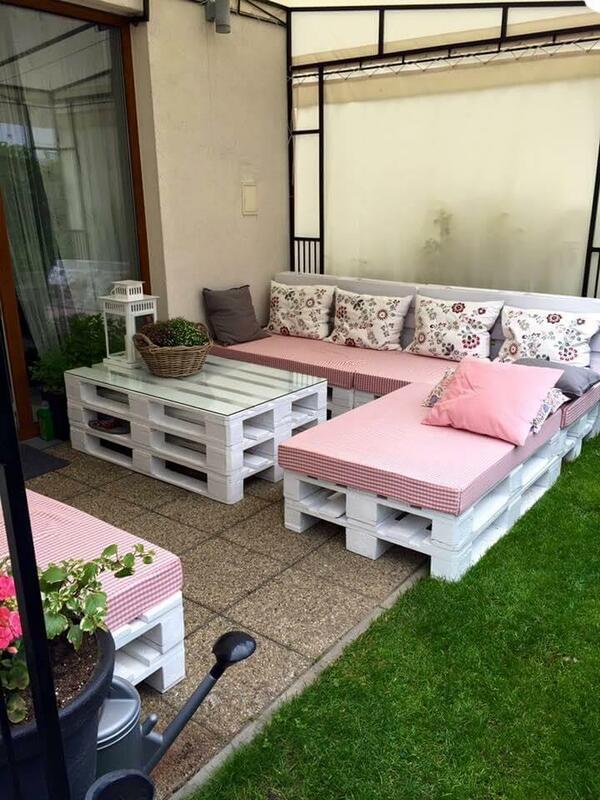 Do clone this free pallet sitting set for an ever exciting outdoor patio experience!